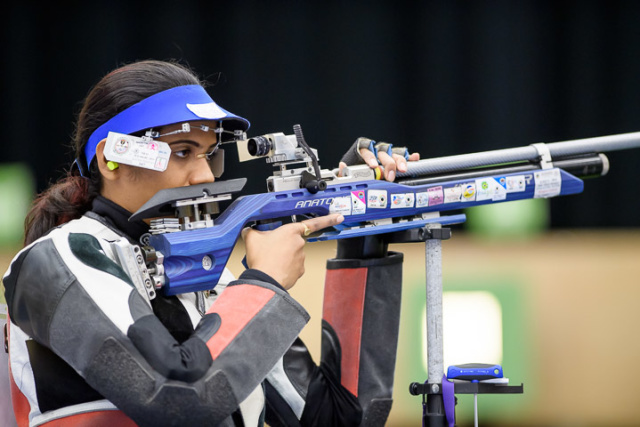 Pooja Ghatkar continued her good run of form as she registered her second fourth placed finish of the year in an ISSF World Cup. Competing in the women’s air rifle at the ISSF World Cup in Baku, Pooja shot 417.0 (104.4, 103.9, 104.8, 103.9) to qualify for the finals. 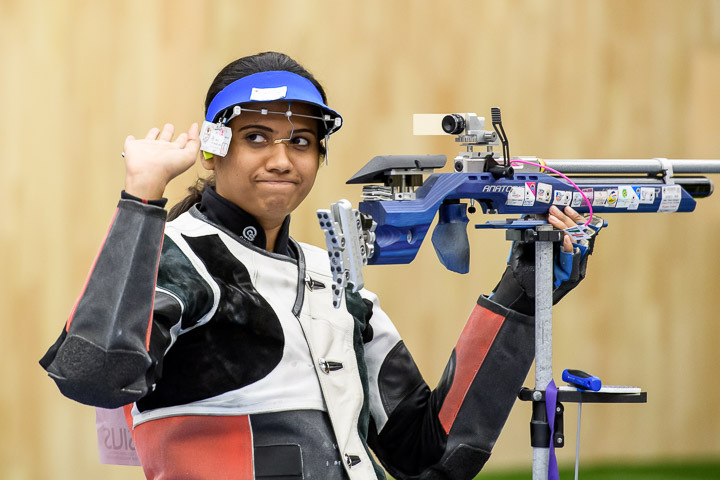 Till the 14th shot in the finals, Pooja looked to be headed towards a first ever World Cup medal, when she was in firm third-place, 0.7 points clear of Korea’s Hae Mi Park. A 9.6 in the 15th shot to Park’s 10.0 meant the gap had closed to just 0.3. Park’s 16th shot came in at 10.8 to Pooja’s 10.3, which meant that she lost out to confirm a medal by a mere 0.2 points. The 27-year-old Pooja had also finished fourth after shooting a score of 164.0 (416.7) in the season’s first World Cup in Bangkok held in March this year and had registered a qualification score of 417.2 in the World Cup at Rio de Janeiro. The former Asian champion had missed the Olympic quota place narrowly to compatriot Ayonika Paul in Asian Olympic Qualifiers in Delhi held in January. The gold in the event went to China’s Bei Du while countrywoman Mengyao Shi won the silver. Hae Mi Park settled for the bronze. Anjum Moudgil of India, narrowly missed the final, shooting a score of 416.4 (104.1, 104.1, 104.9, 103.3) to finish in ninth place on count-back. Rio Olympics-bound Apurvi Chandela shot 411.7 (102.9, 104.0, 102.2, 102.6) to finish 42nd in a field of 66 shooters. In the Men’s 50m Pistol, World Championship silver medallist Jitu Rai stumbled to a bad start and missed a spot in the final by one point. The 28-year-old Jitu, who had won the gold in the Bangkok World Cup earlier this year, shot a score of 555 (89,92,93,95,93,93). Prakash Nanjappa, who will be shooting the event in the Olympics with Jitu, shot 552 for the 17th place while Omkar Singh was in the 25th place with 549. The gold in the event was won by non other than the three-time Olympic Champion Jong Oh Jin of Korea. The current world record holder scored 565 points in the qualifications, and then showed his great skills in the final, marking 192.4 points, finishing almost 5 points ahead of his opponents. The silver was won by Zhang Bowen of China while Korea’s Lee Daemyung took the bronze. Women’s 10m Air Rifle: 1. Du Bei (Chn) 208.6 (417.5); 2. Shi Mengyao (Chn) 208.3 (FWRJ) 417.1; 3. Park Hae Mi (Kor) 185.1 (416.4); 4. Pooja Ghatkar 164.7 (417.0); 9. Anjum Moudgil 416.4; 42. Apurvi Chandela 411.7. MQS: Dilreen Gill 411.6. Men’s 50m Pistol: 1. Jin Jongoh (Kor) 192.4 (565); 2. Zhang Bowen (Chn) 187.9 (557); 3. Lee Daemyung (Kor) 167.1 (567);10. Jitu Rai 555; 17. Prakash Nanjappa 552; 25. Omkar Singh 549.